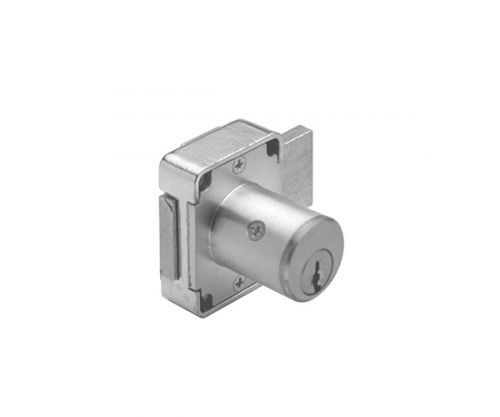 CompX C8101-26D Pin Tumbler Cylinder Cam Locks. Type of mounting lipped overlay. 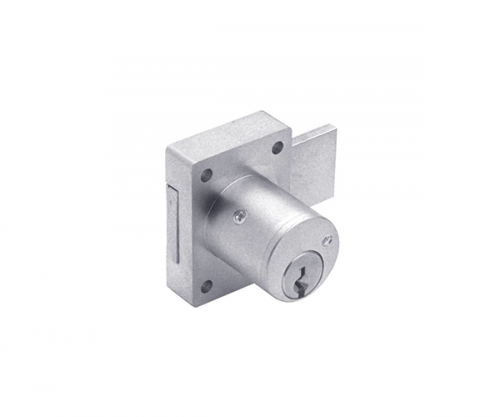 Cylinder length 1-3/16″. Maximum material thickness 7/8″. 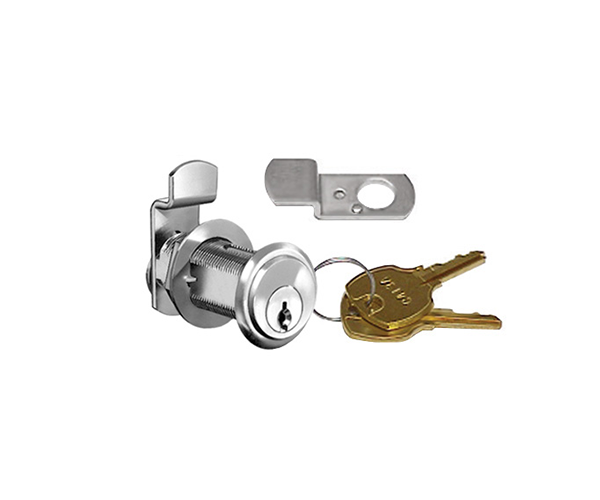 90° cam turn, key removable in both locked and unlocked positions. 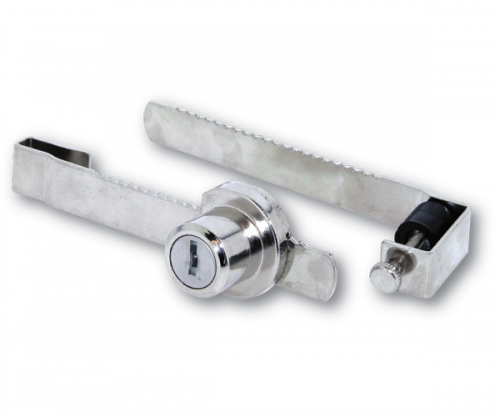 Supplied with two keys, trim washer, spur washer for wood, mounting nut and two cams.